One way to thank our veterans is to make sure they get the care and support they need, when they need it. 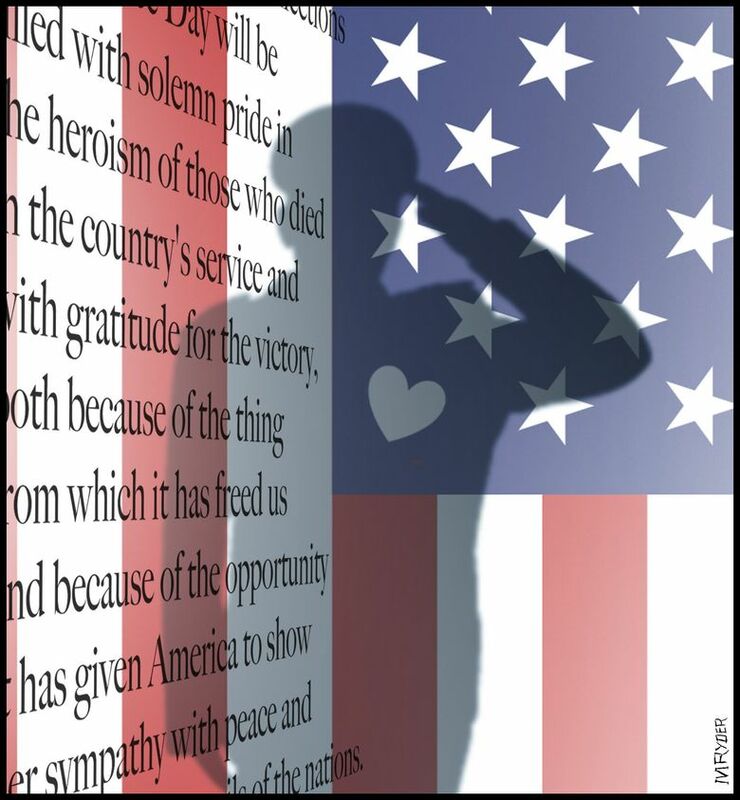 ON Veterans Day, we salute and honor the men and women who have served in the U.S. armed forces. It’s a day that we, as a community, can demonstrate our gratitude toward veterans for the contributions and sacrifices they have made to safeguard our liberty. An important way to thank our veterans is to make certain they receive the care and support when they need it. That care and support is in great demand here in the Northwest. Are you a veteran? Share your perspective with The Times Opinion page about life after service and what the biggest challenges have been. Write to letters@seattletimes.com in 200 words or fewer, and include your full name, address and telephone numbers for verification. For the first time in the history of VA Puget Sound Health Care System, more than 100,000 patients visited our campuses and clinics in the 2015 fiscal year, resulting in more than 1 million appointments. This unprecedented growth rate of 17 percent during the last five years has made it quite challenging to deliver health care to our veterans, while at the same time experiencing staffing shortages and space challenges. This growth has placed VA Puget Sound in the top 10 fastest-growing U.S. Department of Veterans Affairs centers in the United States, and it is now the ninth-largest VA medical-care provider. What does this mean for veterans? For some, it has meant longer wait times to get in to see a doctor. We recognize this is frustrating for our 100,000-plus veterans enrolled in the VA. It’s frustrating for us, too, and we are working hard to reduce the wait. Michael J. Murphy is director of the VA Puget Sound Health Care System, part of the U.S. Department of Veterans Affairs. The sweeping changes facing the VA nationally will take time to work out and to implement. But know we are committed to improving the delivery of health care to our Puget Sound Veterans. Long before the crisis at the VA hospital in Phoenix, VA Puget Sound was working on ways to reduce wait times. In 2014 and 2015, we experienced an unprecedented turnover of primary-care providers. Our patient wait times increased as a result — today, it takes around 12 days to get in to see a primary-care doctor, a few days longer than the national average. We can get a patient in sooner, some on the same day, for acute conditions. We are working to reduce that wait by bringing on new physicians, adding necessary support staff and increasing hours of operation to see more patients. During the last year, we developed new recruitment and retention initiatives to help ensure wait times don’t increase when we lose a provider to retirement or another health-care organization — which is a very real problem for us. Our private-sector health care neighbors are some of the best in the world. Being a federal agency makes it tough to compete sometimes for the same staff members. Other ways we are dealing with access issues include the expansion of care in our neighborhood clinic in Bremerton and researching additional areas where we can offer care closer to where our veterans live. To handle new patient growth, we are exploring new partnerships with existing regional military health-care facilities like Madigan Army Medical Center and Naval Hospital Bremerton. There are some real challenges ahead, but we are making significant strides in some important areas: reducing veteran homelessness, offering care in the community for veterans through the new Choice program, which offers eligible veterans the option to receive non-VA health care from approved providers in their communities. We also are home to one of the VA’s top bone-marrow- and lung-transplant programs, and we are continuing to build on one of the most successful mental-health-treatment programs in all of the VA. In 2017, VA Puget Sound will open the doors to a new mental-health research building at the Seattle campus. This state-of-the-art facility will help us better understand how to identify and treat mental-health issues for veterans. It is our duty and privilege to serve our veterans. We also ask for the community’s help. If you know a veteran who needs assistance, please encourage him or her to enroll for VA health care by visiting any VA Puget Sound Health Care System facility throughout the region by contacting our Enrollment Center at 800-329-8387, ext. 76542, or by visiting our website: www.pugetsound.va.gov. For questions about the Choice program, call our Choice Champions: 206-764-2876 or 800-329-8387, ext. 1-62876.